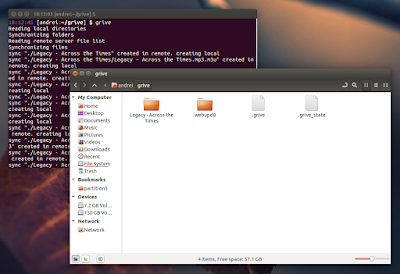 Grive was an unofficial, open source command line Linux client for Google Drive. I say "was" because the tool no longer works due to Google changing it's API recently and Grive not being maintained any more (there are no commits on its GitHub page since May, 2013). To get Grive up and running again, Vitaliy Filippov forked it and named his fork "Grive2". The fork supports the new Google Drive REST API and it also includes a new feature: partial (directory) sync, along with bug fixes. Since there are quite a tools that rely on Grive, the Grive2 binary and package continue to be called "grive", so installing Grive2 from the main WebUpd8 PPA will overwrite any old Grive versions it may find on the system (just as if it was a newer Grive1 version). If you don't want to add the PPA, you can download the deb from HERE (for Ubuntu 12.04, you'll also need yajl2 - get it from HERE) but installing the debs manually means you won't receive automatic updates. Arch Linux users can install Grive2 via AUR (it's actually the old "grive" package, updated with the new Grive2 fork). For other Linux distributions, see the Grive2 GitHub page. After running the command above, an URL should be displayed in the terminal - copy this URL and paste it in a web browser. 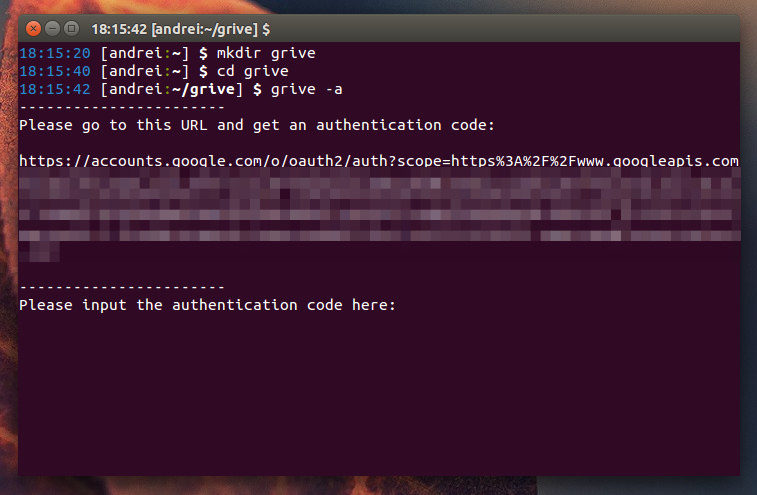 In the newly loaded page, you'll be asked to give Grive permission to access your Google Drive and after clicking "Allow access", an authentication code will be displayed - copy this code and paste it in the terminal where you ran Grive2. That's it. Now each time you want to sync Google Drive with your local "grive" folder, navigate to the "grive" folder (step 2) and run "grive" (this time without "-a" since you've already authenticated Grive with Google Drive).